For me, the “holiday season” has always consisted of three important holidays: Thanksgiving, Christmas, and New Year’s Eve/Day. 2011 marked an interesting year for me, in which I spent these very special holidays in very different locations. 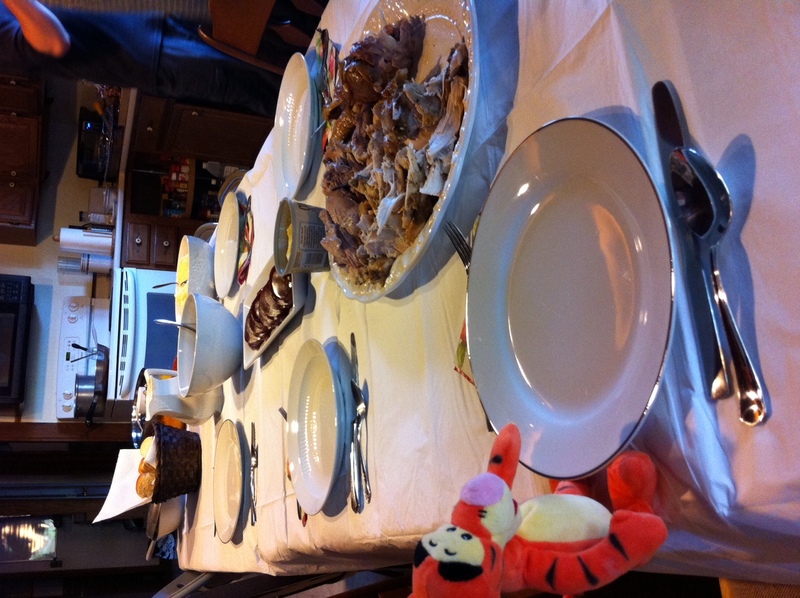 Tigger (who occasionally travels with me) is eyeing the turkey! For Christmas, Santa brought family to me and delivered my Father on Christmas Eve! 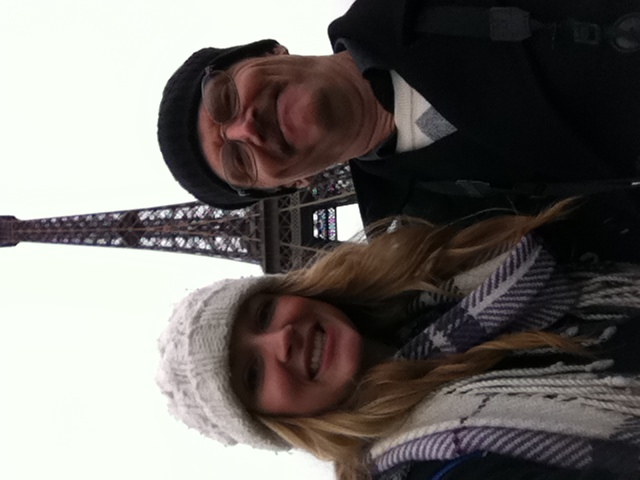 We spent 4 days walking all around Paris (and I mean ALL around), and I acted as a poor excuse for a tour guide to my guest, who was also a first-time visitor to The City of Lights. And lastly, to ring in the New Year, my wonderful Frog Prince invited me to join him and his friends in beautiful Cadaqués, Spain — about an hour north of Barcelona. The sites were beautiful, the running was difficult (so much wind! ), and the company was great. How could I ask for more? 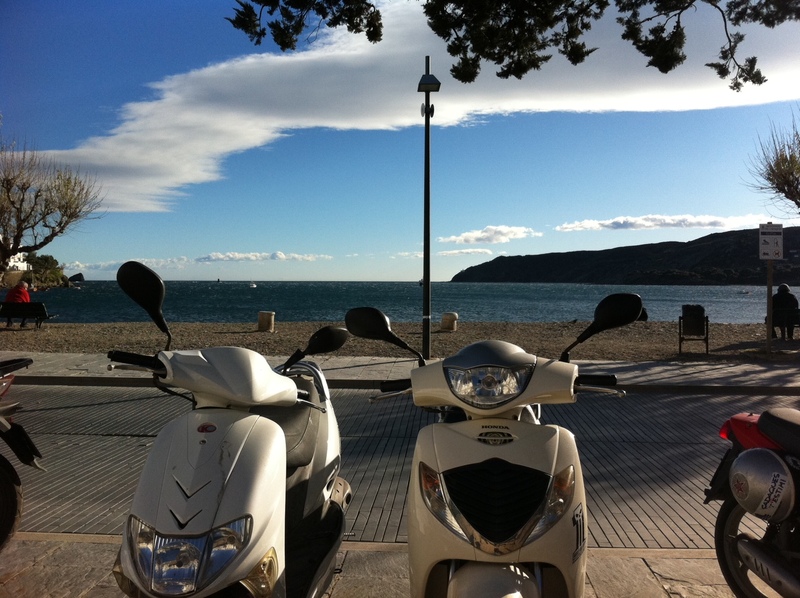 Not a postcard - a snapshot by the sea!